Introducing… weeLove, weeSpring’s new twice-weekly email newsletter that’ll also be available on the blog. As you’ve probably already figured out, weeSpring is all about the must-have gear you need for your family. weeLove is the fun stuff… cool new products, services that make parents’ lives easier, game-changing apps, and more. It’s a way for us to share with you a few of our favorite things. If you aren’t already getting weeLove in your inbox, you can sign up by joining weeSpring. 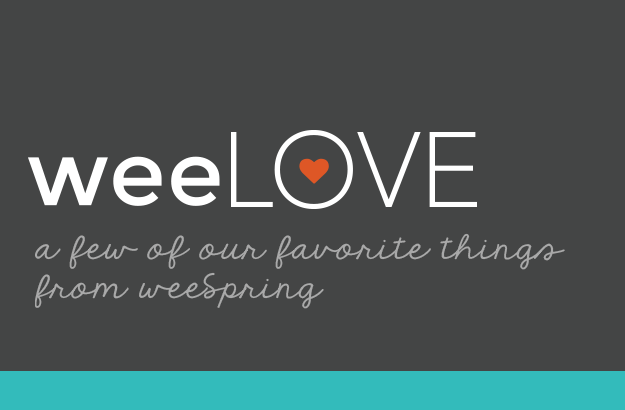 And we’d love your suggestions of your new favorites — send them to weelove@weespring.com.